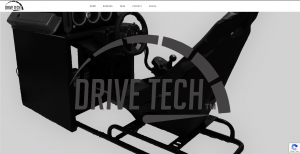 Drivetech now has hardware bundles for racing games available on their newly launched web site Drivetech.us. 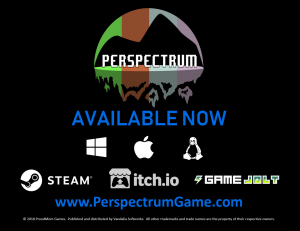 August 9, 2018 – Morgantown, WV – Perspectrum is now available to purchase and download for Windows, Mac, and Linux! 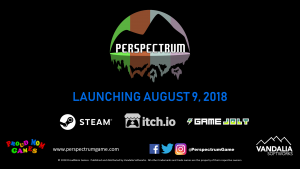 July 30, 2018 – Morgantown, WV – West Virginia-based Vandalia Softworks will release Perspectrum, developed by ProudMom Games on Thursday, August 9, 2018 at Noon EDT. The game will be available for Windows, Mac, and Linux via Steam, Itch.io, and Game Jolt. 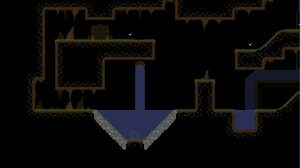 June 21, 2018 – Morgantown, WV – Later this summer, West Virginia-based Vandalia Softworks will release Perspectrum, developed by ProudMom Games, for Windows, Mac, and Linux via Steam, Itch.io, and Game Jolt. The unique game mechanics of this puzzle platformer will push players to solve some exciting challenges. 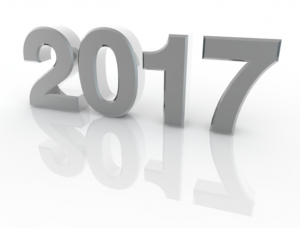 We had a lot of great things happen this year, check out our reflection of 2017!